For other people named Mike Adams, see Mike Adams (disambiguation). Michael Carl Adams (born March 24, 1981) is an American football safety for the Indianapolis Colts of the National Football League (NFL). He was signed by the San Francisco 49ers as an undrafted free agent in 2004. He played college football at Delaware. Adams has also played for the Cleveland Browns and Denver Broncos. Adams was born in Paterson, New Jersey. A native of Wayne, New Jersey, Adams attended Passaic Tech High School in Wayne, where he helped guide his team to the New Jersey Group 4 state title in 1998. Adams attended Passaic County Technical Institute in Wayne, New Jersey before going on to the University of Delaware. At Delaware, he played 43 times with 23 starts. During his college career he made 213 tackles and 11 interceptions. He earned second-team All-Atlantic 10 honors as a senior. He was undrafted in the 2004 NFL Draft. On April 28, 2004, Adams signed with the San Francisco 49ers as a undrafted free agent. Adams was waived by San Francisco on September 4, 2004. Adams signed to the 49ers practice squad on September 6, 2004. Adams was elevated to the San Francisco 49ers active roster on November 13, 2004. Adams spent three seasons in San Francisco, starting in 18 games and recording five interceptions. Following the 2006 season, Adams left San Francisco and signed with the Cleveland Browns. Adams was signed by the Cleveland Browns as a free agent on April 2, 2007. Adams went on to start in 32 games over a five-year period with the team. During that time, Adams recorded seven interceptions and forced a fumble. Following the 2011 season, Adams became an unrestricted free agent and did not re-sign with the Browns. Adams with the Broncos in 2012. On March 15, 2012, Adams signed with the Denver Broncos as an unrestricted free agent. After joining the team, Adams chose jersey No. 20—which was previously worn by legendary safety Brian Dawkins before he retired during the 2012 offseason. “Hopefully I make him (Dawkins) proud wearing his number,” Adams stated in May. Heading into the 2012 season, Adams was expected to be one of Denver's two starting safeties this season. Before the start of Super Bowl XLVIII, Adams vowed to walk about 12 miles (19 km) from MetLife Stadium back to his childhood home if the Broncos were to win the Championship. He was released by the Broncos early in May 2014. Adams signed with the Indianapolis Colts on June 14, 2014. On December 23, Adams was named as an alternate player for the 2014 Pro Bowl. On March 10, 2015, Adams re-signed with the Colts on a two-year contract. Adams was named to his second-consecutive Pro Bowl on January 25, 2016, as a replacement for the injured Kam Chancellor. Adams was Inducted into the Passaic Tech Hall of Fame in 2009 and had his jersey retired in 2010. ↑ "Cleveland Browns - Players - Mike Adams". clevelandbrowns.com. Retrieved August 6, 2007. 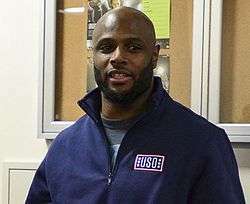 ↑ "Former Bronco Mike Adams Joins the Indianapolis Colts". 1 2 3 4 5 6 7 8 "Indianapolis Colts: Mike Adams". www.colts.com. Retrieved 2015-12-17. ↑ "Mike Adams, SS for the Denver Broncos". National Football League. Retrieved September 16, 2013. ↑ "Broncos DB Mike Adams inherits more than Brian Dawkins' jersey number". BroncoTalk. May 23, 2012. Retrieved September 16, 2013. ↑ Kiszla, Mark (January 26, 2014). "Broncos' Mike Adams has dream of walking home after Super Bowl". The Denver Post. ↑ Hanzus, Dan (June 14, 2014). "Veteran Mike Adams signs deal with Indianapolis Colts". National Football League. Retrieved 2014-06-15. ↑ Keefer, Zak (December 24, 2014). "Colts earn 5 Pro Bowl nods". indystar.com. Retrieved December 25, 2014. ↑ Wells, Mike (March 10, 2015). "Mike Adams staying with Colts". ESPN.com. Retrieved January 9, 2016. ↑ Alper, Josh (January 25, 2016). "Vontae Davis, Mike Adams headed to Pro Bowl". profootballtalk.nbcsports.com. Retrieved January 25, 2016.